Cherry slab surface. 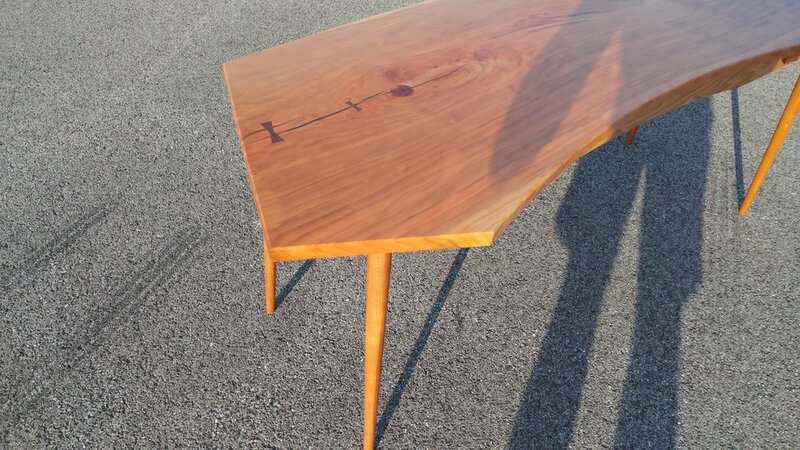 Tapered, turned cherry legs. Butternut skirt and drawer fronts, cherry drawers. Intersecting wedged mortise and tenon joinery. Walnut details. 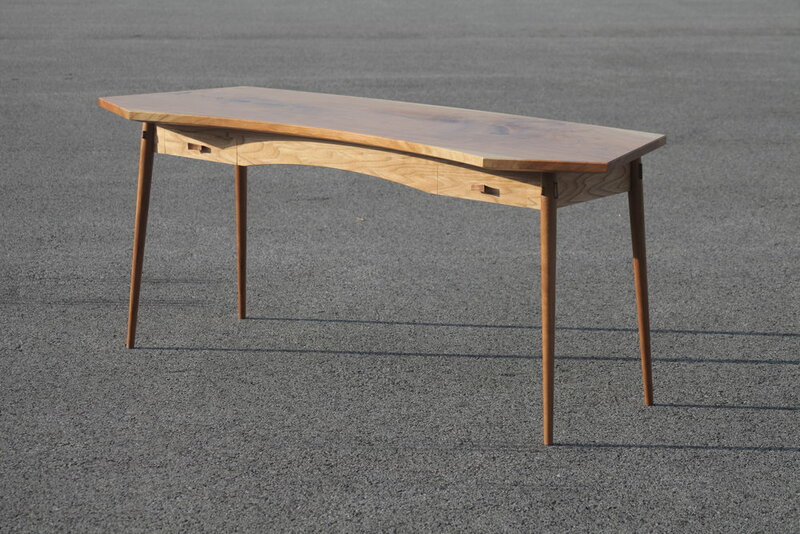 Gradual curves will envelope the owner with rich cherry wood, providing ample open space upon which to spread out. 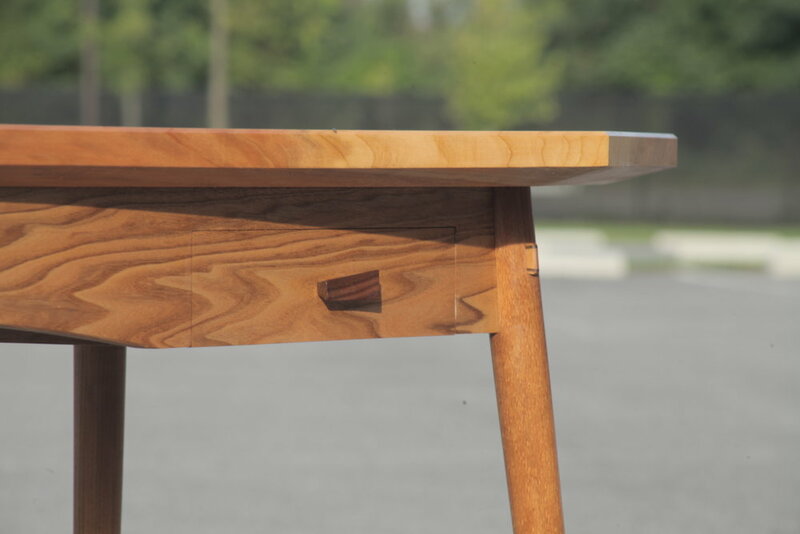 Thin, tapered wooden legs, anchor the desk, yet do not distract from the surface. A lower frame mirrors the surfaces curvature and provides space for two drawers for those necessary tools of creation. 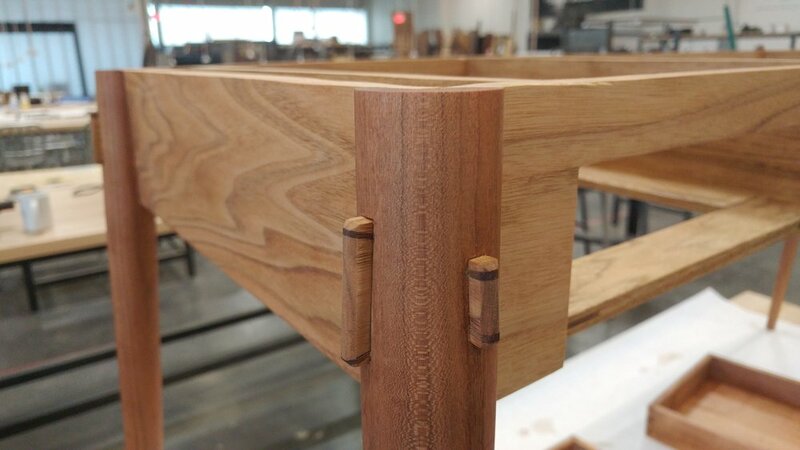 Each of the tapered cherry legs are joined to the skirt using two tenons that intersect through each other, bringing together 3 parts in one location. Both mortises are cut at compound angles on a round surface, requiring a great deal of carful chisel work. It was love at first sight with one particular Butternut board that forms the face of the desk skirt. 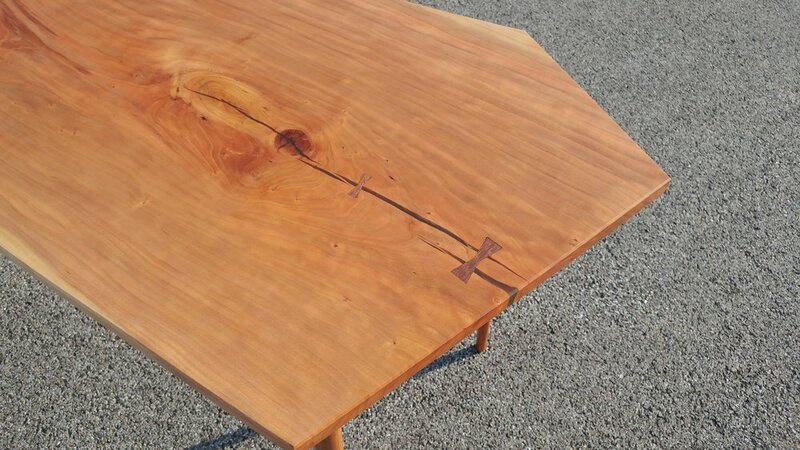 The drawer fronts were carefully extracted from the board so that once assembled the flame pattern would flow evenly. The two draws are constructed of Cherry with Butternut faces and Walnut pulls. Dovtails are used throughout. The pulls are inspired by the great James Krenov. Here you may also see the walnut bowtie used to stabilise and highlight the natural crack in the slab surface.